Educators are applying Symbolic Modelling in a number of ways. The following five examples from a range of contexts show how, with a little creativity, the use of student-generated (autogenic) metaphor and Clean Language is making a contribution in the field of education. Learning is a highly complex process about which we know very little. But one thing we know for sure is that people learn in different ways. How can we have a sense of the way our students learn – just by listening to what they say? A very practical approach is to take note of the metaphors in their language. The article which follows was presented to the Teacher Development Special Interest Group Conference of the International Association for Teaching English as a Foreign Language (IATEFL) in November 1995. While the focus of the article is teaching it should be fairly easy to adapt the information for other contexts such as business, therapy etc. Reflective Practice clearly involves 'reflection' and its application to 'practice'. However other elements are sometimes undervalued. How do you know your reflection is having a beneficial effect on your practice? How can you improve the way you enact your reflective practice? To find out we need to apply reflective practice to itself. Mario Rinvolucri renowned author of over 20 books for teachers gives his opinion of Metaphors In Mind. 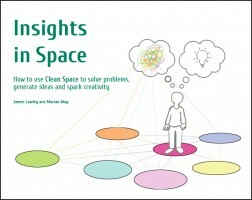 It includes a number of suggestions for how to use the ideas in the classroom.